The R&D activities of the RoboticsLab in the field of robotics & automation in construction started in earlies 90s. Several industrial and EU projects related with automation of the pre-fab parts, and modular building design & erection had been done. The R&D activities of the RoboticsLab in the field of robotics and automation in construction industry started in early 90s. 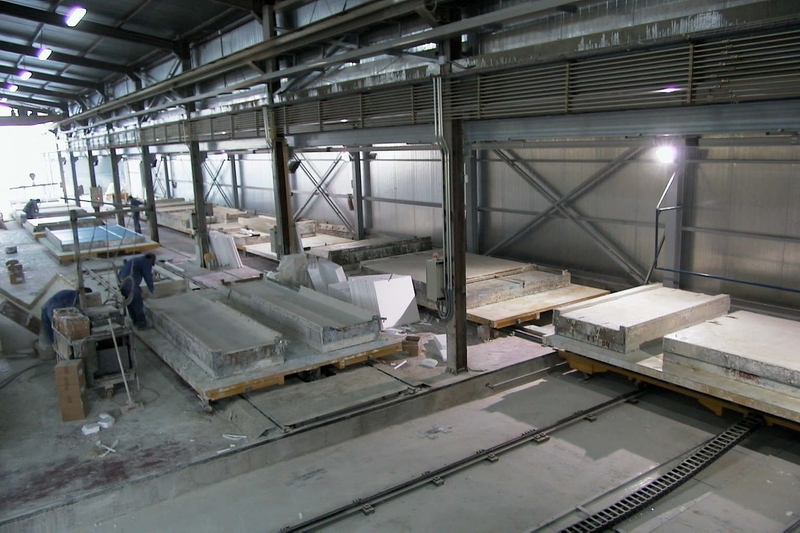 Several industrial projects related with automation of the pre-fabrication of GRC parts manufacturing were developed: GRC-Auto1 (1992-1995) and GRC-Auto2 (2000-2002), for one of lead EU construction company Dragados (E).The GRC-Auto1 project deals with the robotic spraying of the panels (6 x 3 m), and GRC-Auto2 projects deals with the optimization and rationalization of the whole factory, including panels? transportation and storage. The first EU project where members of RoboticsLab were involved was the Esprit III project ROCCO (1992-1996) for robot assembly of big blocks and bricks. In the field of automatic 3D building design and on-site modular buildings robotic assembly were developed the 5FP EU project FutureHome under Brite-Euram program (1999-2002). Recently, the continuation of these projects has obtained the approved in the frame of the 6FP EU Integrated Project (IP) under NMP priority called ManuBuild (2004-2007). Prof. Balaguer is also actively involved in the activities of the International Association in Automation and Robotics in Construction (IAARC), being President elected during the period 2001-2004. The RoboticsLab also organized in 1999 the 16th International Symposium on Robotics and Automation in Construction (ISARC?99).